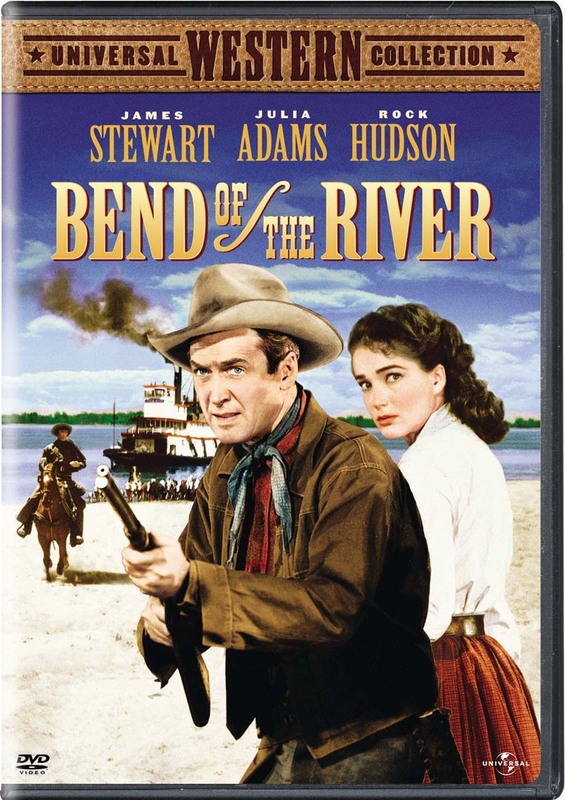 Universal Western CollectionMan-with-a-past James Stewart guides a band of pioneers from Missouri over the Oregon Trail to a new life in the Columbia River Basin in this western adventure directed by Anthony Mann. When the settlers are cheated outof their supplies and cattle, Stewart crosses rivers, climbs mountains and out-guns greedy hijackers to ensure their survival through the first winter. Along the way, he is double-crossed by ally Arthur Kennedy and assisted by handsome San Francisco gambler Rock Hudson and beautiful farmer's daughter Julia Adams. Veteran entertainer Stepin' Fetchit is featured as the riverboat cabin boy.